Our Blackout Systems have been perfected over many years. The Rollup Wall is an important part of your Blackout effectiveness. Our Blackout System is self-adjusting, to reduce your maintenance time and increase the quality of your Blackout. 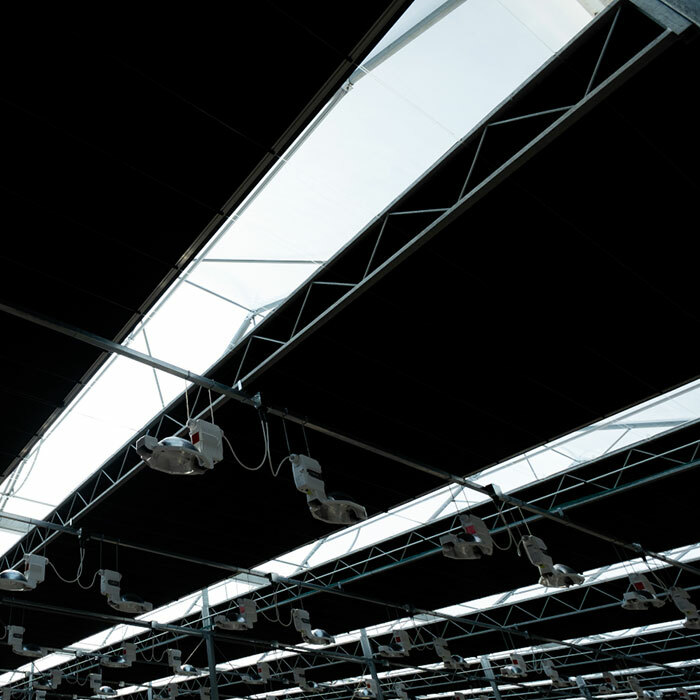 A High-Quality Blackout System needs to open wide to allow more light for your plants. The seal at the ends of your Blackout System is important, and we have many strategies to make that seal effective. Blackout quality when closed is important, no matter what the crop. Call Westland Greenhouse Solutions for all your Blackout Requirements. Westland Greenhouse Solutions Inc. offers an industry-leading blackout system that is constantly improved to both increase our blackout effectiveness, energy savings and reduce costly maintenance. Alweco Scherminstallaties Int B.V. supplies a high quality blackout system. With our installation strategies, we will install a low-maintenance, on-time blackout system for your greenhouse renovation or new-build project. We also install materials in our blackout system that none of our competitors offer to ensure that we keep your plants protected from light, minimizing your crops exposure. This minimizes costs, and maximizes your profits. We also offer several blackout cloths from various manufacturers available only to companies with a world-wide reach along with our second-to-none training to ensure that we can meet your crops’ specific needs.